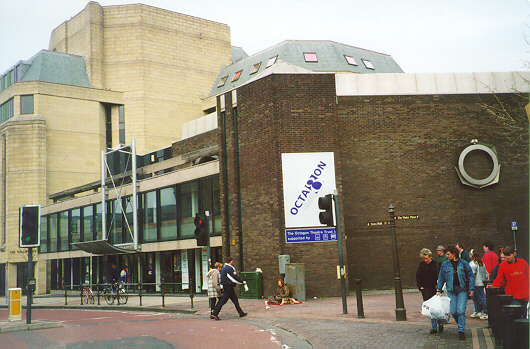 The name derived from the shape of the building, the Octagon opened on November 27th 1967 by Princess Margaret, designed by Geoffrey H. Brooks, and won a national Civic Trust award in 1968. The design permits a central stage surrounded on all sides, called 'Theatre in the round', the first such in the country. The seating can also be rearranged to view a thrust stage. Contact the box office on +44 (0)1204 520661 for details of current and forthcoming shows. Or look for Bolton in UK Theatre Web, north-west section.